Lab work, as I’m sure you’re aware, comes with many pressures, and one of which is productivity. Streamlined efficiency and making your lab work as hard as possible can often be high up on the agenda. In this post, the experts at Radleys, offer actionable tips and advice on improving productivity. Whether it’s in advanced laboratories, schools or universities, the issue of productivity has long been the source of sleepless nights for chemists worldwide. 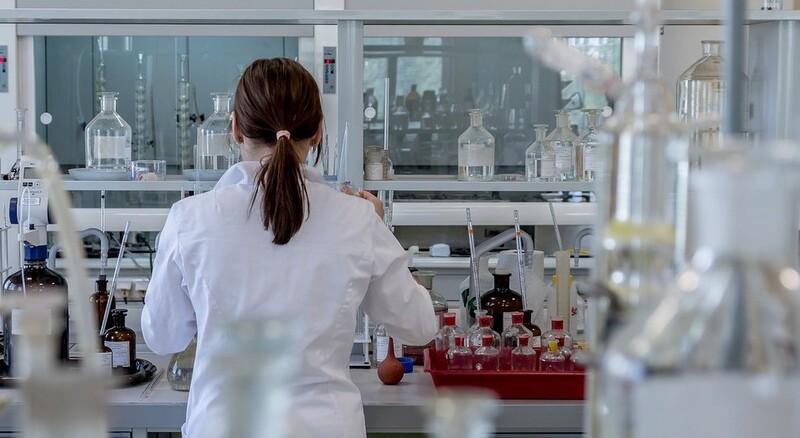 Like so many innovations in the industry, GlaxoSmithKline was at the forefront of tackling this major issue and asked the question: How can we conduct multiple reactions in parallel and increase productivity? Traditionally, controlled chemistry is not productive. Just one reaction would require a conventional round bottom flask, an individual oil bath, a separate external water condenser, not to mention the setup of a water and power supply. While this individual and laborious approach is fine for “one-off” reactions or smaller institutions or end users, the nature of chemistry demands efficiency without compromising on an accurate end result. GlaxoSmithKline approached the team at Radleys to develop their concept and launch a parallel reaction station as their commercialisation partner… so we know a thing or two about productivity. Firstly, you need to plan your day in advance. Easy to say, but is it easy to do? You might think this obvious, but there is a difference between knowing what you are going to do and having all the equipment and prep ready. If you spend most of the morning running around preparing samples, you more often than not might lose the momentum to get things done. Next thing you know, you’re behind and playing catch up. So, you need to be organised. It makes such a difference to your productivity to keep data and results organised: know what you have done and the results and avoid unnecessary work later. We’d advise setting up the materials for your first task of the day the night before. Get off to a flying start in the morning. Don’t forget to have realistic goals for the day and stick to them. Don’t give yourself too much to do… you might very well manage to get it all done before quitting time, but will it be your best work? And don’t put things off. Don’t avoid that task you hate and leave it until the end of the day to get started! These tasks always take longer than you think and keep you in the lab later than you want. Why not time all of your tasks for a day or week to learn about your actual usage? On from the last tip, we’d advise doing your worst task first. Once completed, it gives you a sense of achievement and sets the tone for a productive day. De-clutter your workstation to reduce stress and help keep your mind focused on the job. Streamline experiments you do often. Make up huge batches of stock solutions, create tick-off forms to fill in instead of making a fresh lab book entry every time. Fail fast, learn when to move on and quit anything that takes up more of your time than it’s worth. Use software tools that will make your life easier. Equipment optimisation is vital to a productive laboratory. Using effective equipment, such as lab control software, will help to increase productivity and experimental quality while limiting waste. Equipment should always be maintained as instructed by the manufacturer and kept in a clean, fully working condition. By doing this, you should stop it from breaking down during an experiment and wasting samples and other consumables. One example of chemistry equipment that has a large impact on productivity, is the Carousel 12 Reaction Station. This was specifically designed to put the efficiency and productivity back in the hands of the chemist. The station allows users to conduct up to 12 reactions in the same length of time as one. In the interest of productivity and ease of use there is no need for a separate oil bath or water findenser and the Carousel only requires a standard hot plate to work. There are many tools that have efficient chemistry at the heart of the original design like the Carousel station. For example, it can simultaneously heat or cool, stir and reflux up to 12 samples under one inert atmosphere. No chopping and changing and stopping. The most efficient refluxing without the waste: Loss and waste from evaporation for example, is a constant headache in all lab environments. So the Carousel also has a special “cooling zone” and internal shut off valves minimise leaks and ensure a more accurate result without compromising productivity. The station is designed for productivity not just in terms of multiple reactions, but in the fact it’s simple to set up, use, clean and use again. Finally, the best advice we can offer is to get advice from your peers. One of the best ways to optimise your lab's workflows and experimental protocols is to ask those with more experience. You may well be pushing the boundaries of science, but there will undoubtedly be procedures that are used across the world.